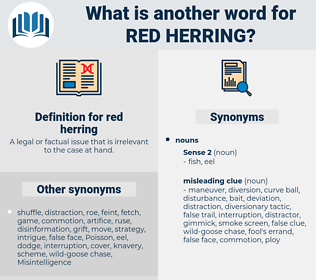 What is another word for red herring? A legal or factual issue that is irrelevant to the case at hand. 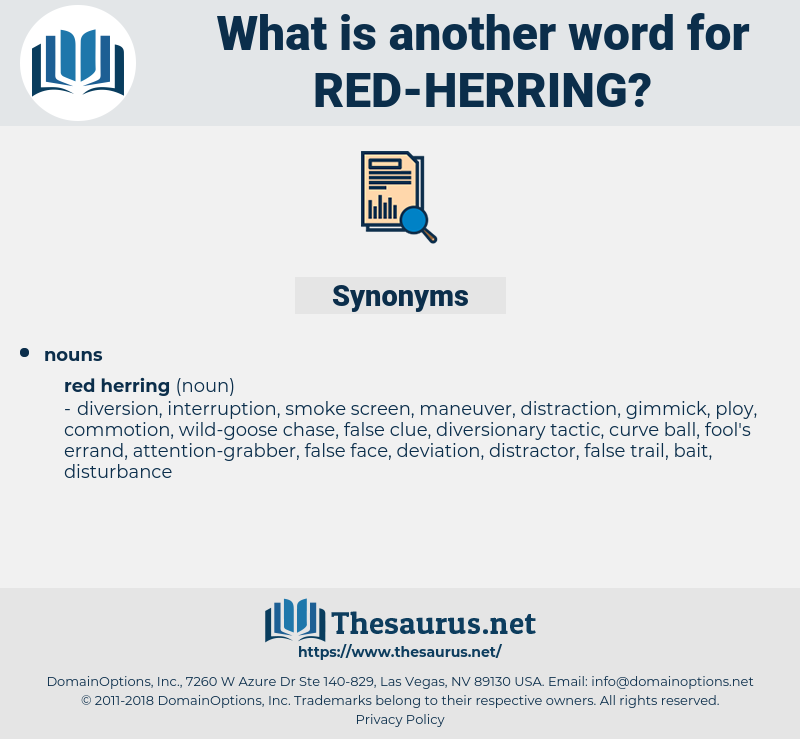 red-orange, Rhaeto-Romanic, reordering, return key, retrench, retraining, Rhaeto-Romance, rotary wing, retiring, returning. digression, diversion, divagation, deviation, deflection, deflexion.